IBM has been one of the most active companies in India when It comes to using technology and resources in the best way possible. Their recent event IBM Code Day 2018 was a big hit with thousands of developers participating in the event with code challenges, Hands-on learning & exploring the latest technologies with live demos. I’ve been a part of it and loved the experience. A lot of participants of IBM Code day have started using IBM’s Watson APIs from that day! 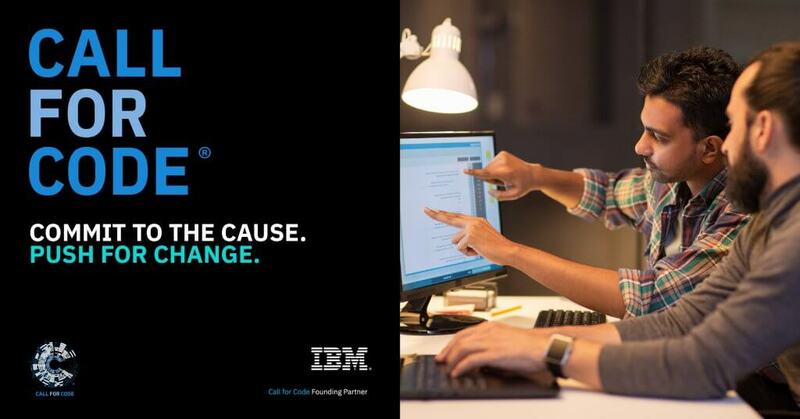 The kind of technology that IBM currently has can influence thousands of developers all over the world, So IBM is using that influential power in a right way by organizing a new event called “Call for Code”. 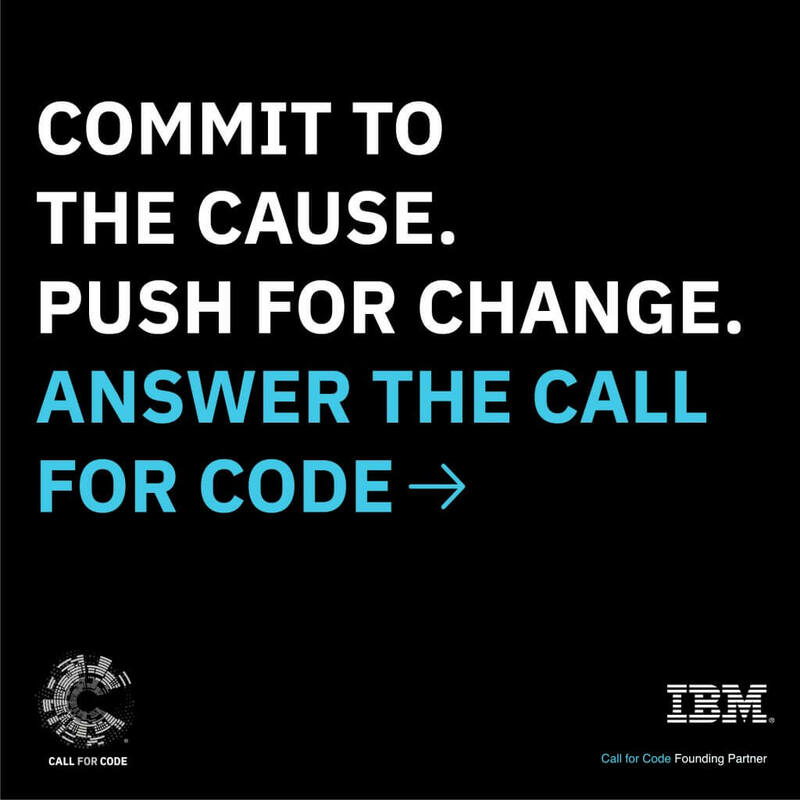 Call for Code is a global initiative that asks developers to out-think natural disasters and build solutions that significantly improve the current state of natural disaster preparedness in order to mitigate risk and reduce the disruptive impact on human lives, health, and well being. So, What exactly is Call for Code ? Let’s make it simple. 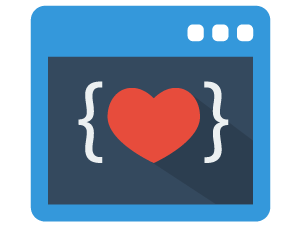 It is a Code challenge, but for a cause. Think of it as a hackathon where you build something useful and win prizes. In this case, You will be building something that can solve pressing global problems like Natural disaster preparedness and relief with software solutions! Let me give you some examples. Recently, Many people were stranded in Chennai due to heavy floods. They needed food and transportation. Many of them were willing to help and could help a few people but they couldn’t do it effectively and couldn’t help everyone. Think about it and come up with your own solutions. What technologies can I use? It is about the initiative and not what kind of technologies that you’ll be using. Use anything you want. It doesn’t matter if you’re using Node.JS or PHP for your backend. Building the solution is more important than the technologies used. Also, You don’t have to build everything from scratch. You can use advanced IBM Watson APIs or Google cloud services or anything that you like! Developers can change the world! Platforms like change.org are used every day by thousands of people to file online petitions. These petitions are actually considered by the higher officials. Social platforms like Twitter and Facebook were used to help save stranded people during natural disasters! A lot more can be done through technology by building platforms that can solve real problems. Let’s take a step and put our effort into building something that can bring a change in the world! I have already registered for the event. Every developer should participate in this event! Forget about the rewards, Do it for the cause and the experience that you’ll be gaining while building something this’s used in critical real-life situations.